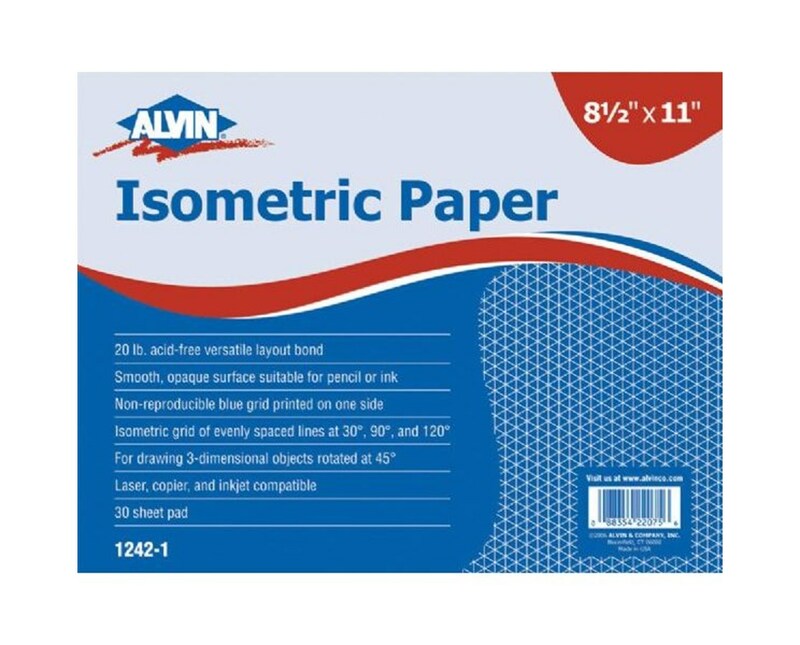 The Alvin Isometric Paper is ideal for mechanical drawing, machine design, and patent office drafting. It is a versatile layout bond that is printed with non-reproducible blue isometric grid on one side. 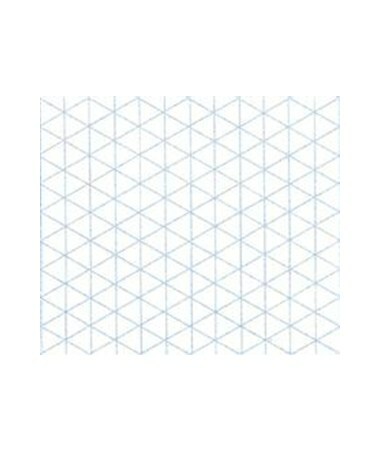 This isometric grid is useful for drawing three-dimensional objects rotated at 45 degrees. It is composed of evenly spaced lines at 30 degrees, 90 degrees, and 120 degrees. This isometric paper is 20 lb. basis and acid-free. It features smooth, opaque bright white surface that contrasts well with different colors and is suitable for pencil, ink and laser plotters. It is also compatible with laser, copier and inkjet. 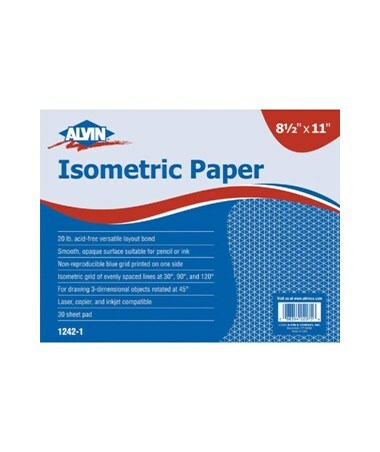 The Alvin Isometric Paper is available in two sizes: 8.5”W x 11”L and 11”W x 17”L. It also comes in three package options including 30-sheet pad, 100-sheet and 500-sheet pack. 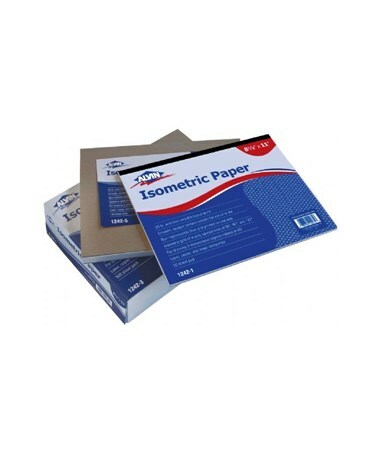 The Alvin Isometric Paper comes in two sizes and three packages. Please select your preference from the drop-down menu above.